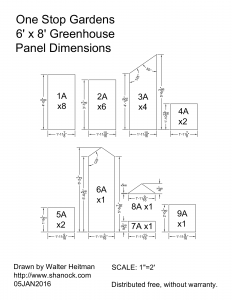 I was recently given ownership of a Harbor Freight / One Stop Gardens 6×8′ Greenhouse. Having done a bit of research, I learned that the clear plastic panels will not stand up to ultraviolet radiation from sunlight for more than a few years. I will have to replace them eventually, most likely by creating my own. 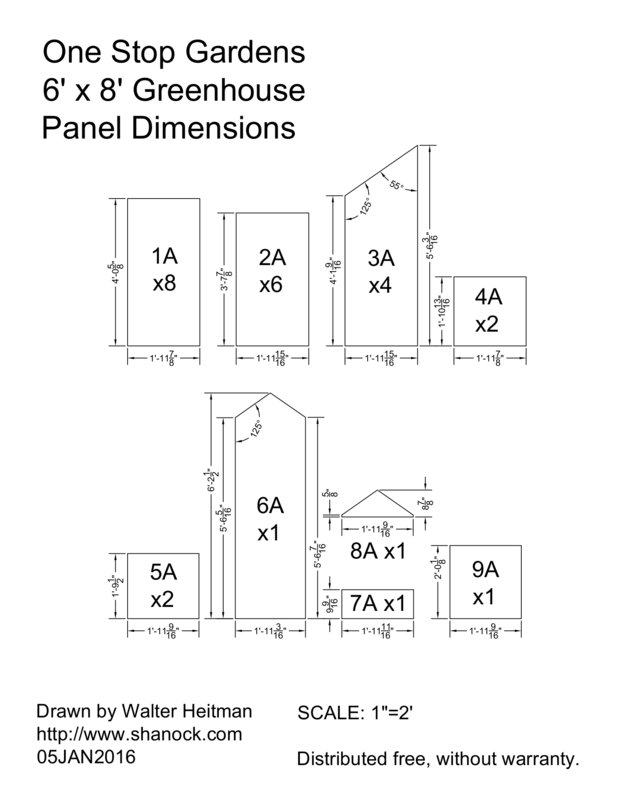 In anticipation of this, before assembling the greenhouse, I decided to record the measurements of every panel. I am also publishing them here, in case anyone else needs them. AutoCad, PDF, and PNG formats are provided here. 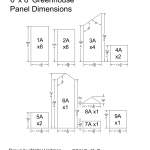 Please note that the dimensions I measured may not match all particular revisions/runs of the greenhouse. I also noted that several dimensions did not match those specified in the manual.